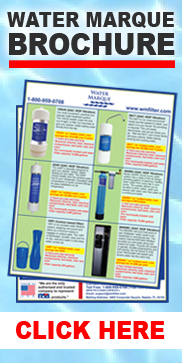 Effective January 1st, 2008 NSA has turned over the Water and Air Filter program to WM Filter, Water Marque in Naples, Florida. WM Filter is the ONLY approved and authorized company offering replacement filters for all the NSA water and air products. The NSA 25I Appliance Filter was the perfect solution for customers wanting to filter water going to their ice machine and water dispenser for the refrigerator. This unit utilized silver impregnated GAC (Granular Activated Carbon) to removed chemicals and organics such as chlorine, pesticides, detergents, bad taste, also while reducing sediment, discoloration and inhibiting bacteria growth. This unit was discontinued effective 1/1/2008 . It is highly recommended if you own one of these units to uninstall it and purchase the newly upgraded unit called the 25AP sold by WM Filter. While the NSA 25I appliance filter was an excellent design and water filter WM Filter has taken what NSA created and improved upon the design by replacing the silver impregnated media with KDF. KDF Media is used to replace silver-impregnated systems. Silver is toxic, KDF Process Media are not. Silver must be registered with the EPA as a toxic pesticide, KDF Process Media does not. By keeping the same design as the NSA 25I Appliance Filter and replacing the media with KDF the unit is now much more effective in removing chemicals as well as being much safer. 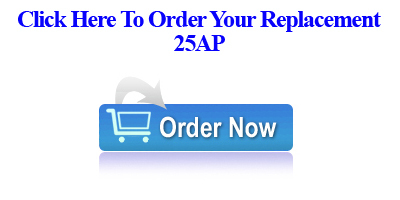 The unit can easily be changed out for the new and improved 25AP.